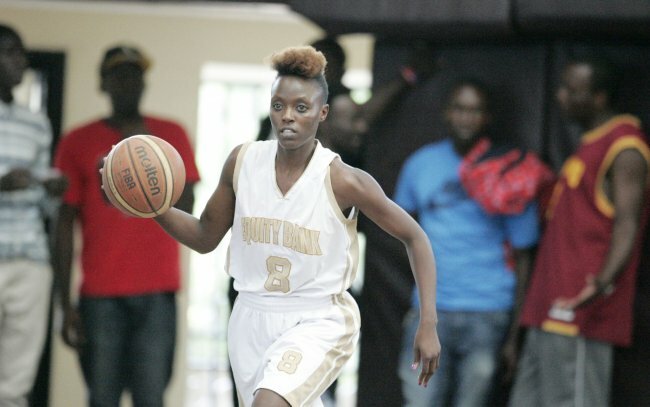 Equity Bank returned to local action with a 50-23 win over Eagle Wings in a Kenya Basketball Federation women's Premier League quarter final playoff match at Strathmore College on Saturday. In this match, Joyce Nabwire scored 12 points and Susan Akinyi eight for Equity Bank who led 21-11 at halftime. Winnie Wafula replied with 10 points for Eagle Wings in this first match. Umoja led 35-27 at halftime before beating Co-Operative Bank 59-48 in the second match of the men's Premier League playoff. Nick Ogoll scored 23 points and Gilbert Obiero 12 while Joshua Kisali replied with eight for the bankers. Eldonets defeated Barclays Bank 66-34 in the second match of the men's Division One playoff. They led 43-24 at half time. James Ongwae scored 18 points and Morris Ouma 15 for Eldonets while Bayless Cossiga replied with nine for Barclays Bank. Foot Prints beat Africa Nazarene University (ANU) 61-45 in the second match of the women's Division One playoff. Daisy Ayodi and Purity Washira top-scored for Foot Prints with 17 and 11 points. In reply, Karen Shiundu scored 14 points and Diana Lukallo nine for the students. The third match of the men's Premier League between Strathmore University Blades and USIU-A Tigers was stopped in the fouurth quarter because of darkness. Strathmore University Blades led 39-35 at stoppage time. Sunday, November 26: Lakeside v Strathmore Uiversity (9 a.m.), Foot Prints v ANU (10.30), Blazers v EMBYA (12 p.m.), Eldonets v Barclays Bank (1.30), Eagle Wings v Equity (3 p.m.), Co-Operative Bank v Umoja (4.30). December 2: Kenyatta University Oryx v KPA (2 p.m. at YMCA), Equity v KPA (4 p.m.).